Contrary to popular belief, getting gifts for elderly people is really an easy task. In fact, it is quite simple to get them gifts because they are the least materialistic people you will have to deal with. Now coming to the gifts that you can give them whether it’s for the holidays, birthdays or any other reason, here are some ideas. You really thought we wouldn’t bring this one to the list, did you? This is the number one gift we at Southern Comfort Family Services would suggest. Studies show that elderly people who are connected with their family members and have regular interactions with friends and neighbors are least likely to get depressed or feel isolated. In fact, this improves their health and if they are undergoing any therapies, they tend to recover faster. 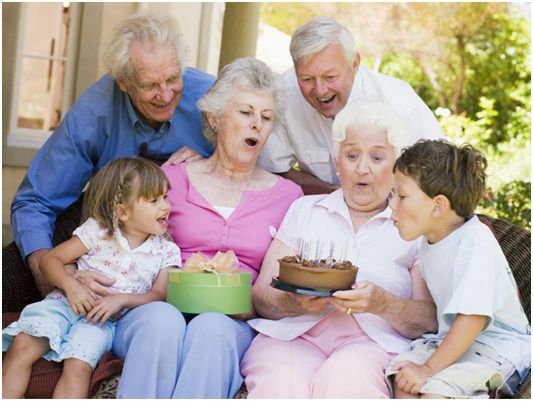 Seniors also love to be with their grandchildren so try to bring them along as well. We all know that professional life demands a lot from us and we get tired from the daily grind. But it doesn’t take much by taking some time out for your older loved ones and give them this gift of love and care. This is somewhat a pricey gift but well worth the money. Get your elderly loved one a reading tablet such as an iPad or Kindle. They have all the time in the world to read since they are free. Chances are they are not tech savvy so it’s best to buy and store their favorite books in it and also a few that you might like for them to read. Reading tablets are easy to use once they get the hang of it and the fonts can be adjusted so they don’t have to worry about eyesight issues. They can also use an iPad for other purposes like browsing the web and listening to songs as well. You can also come and read from the tablet to them. This is one of those universal and timeless gifts that you can give to anyone. This is a good one simply because it can be personalized and is a lovely addition to the personal space they have. Photo frames also come in electronic format so you can load pictures on it and they will change every few minutes. You can’t go wrong with this one. There are tons of things you can get them! For e.g. Getting them a journal, notepad, post- its, pens, highlighters will be really useful for them. Puzzle books will boost their memory and creativity while board games are something they will enjoy playing with you when you come over or with the friends they make at the assisted living facility.